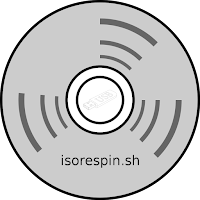 Update: This work is superseded by my 'isorespin.sh' script which can respin an official ISO suitable for use on Intel Atom devices. Also available for testing is my latest development ISO for Atom based Intel Compute Sticks. Booting from either 32-bit or 64-bit this Ubuntu 16.04 LTS includes my development kernel providing audio, wifi and bluetooth. Also available for testing is my latest development ISO for Atom based Intel Compute Sticks. Booting from either 32-bit or 64-bit this Ubuntu 16.04 LTS includes my development kernel providing audio, wifi and bluetooth. Download the ISO and write to a USB using either 'Rufus' in Windows or 'dd' in Linux and then boot using the 'F10' option. The initial menu screen takes slightly longer to appear than with the official ISO and it is also safe to ignore the error messages than scroll past before Unity loads. as 'root' in a terminal window. Installing using the 32-bit bootloader still requires the patch 'linuxium-32bit-patch.sh' from https://goo.gl/1LIx1S to be applied prior to rebooting. Feedback is sought to help with improvements. Tested on Intel Compute Stick STCK1A32WFC - kernel is not loaded - is freeze after choosing "try ubuntu" or "install ubunutu"
If you don't minding helping, can you try booting using the following ISO (https://goo.gl/4k3a4e) and send me the 'dmesg' please? Also are you booting using the 32-bit bootloader or the 64-bit bootloader (as set in the BIOS)? Could you try both ISOs with the opposite bootloader to the one you've currently tried? Thanks. After booting, open a terminal and enter 'dmesg' then highlight all the text, copy (ctrl-c) and then open Firefox, go to http://pastebin.com and paste the text (ctrl-v) and then reply with the Pastebin URL. Similar situation on Wintel Cx-W8 (Z3735f, bios32-bit). Your 14.04 and original 16.04 loaded. I installed this on a STK1A32SC. Can boot Ubuntu but can't get the network working. The wifi finds networks but it is not possible to connect to them. My USB ethernet adapter is also unstable. I get connection then it drops stating "cable unplugged"
Do you have anything plugged in to the USB 3.0 port? If so, leave it un-plugged and observe the network behaviour. I got the wifi working by editing the found network and added the password there before clicking connect. The ethernet adapter is plugged into the USB3.0 port. I have a combined keyboard and mouse in the USB2.0 port. Seems like my USB3.0 hub was causing the problems. I removed the hub and now both wifi and ethernet works perfectly! I have a compute stick STK1A8LFC (64 bit). It only has 1 GB ram, so I decided to install Lubuntu 16.04 LTS to speed things up. However, I discovered the sound & bluetooth don't work anymore! I see that you have a solution working. Is there anything I can do to add this to Lubuntu to get it all working but still have a light OS? 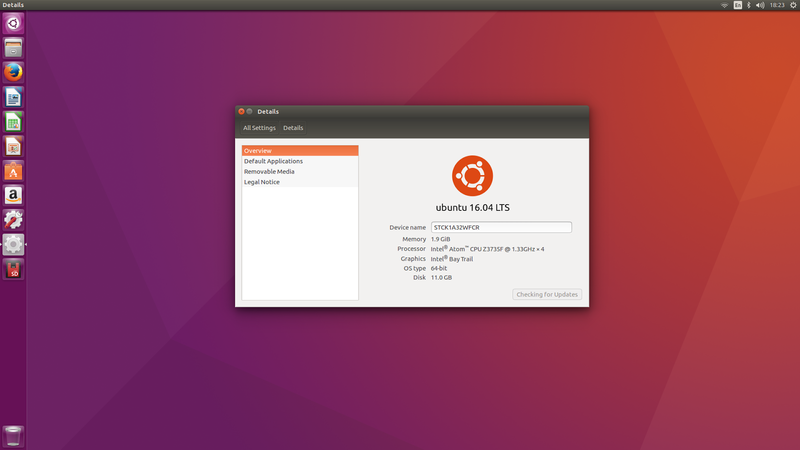 I will look into this as I didn't consider the STK1A8LFC as it already came with Ubuntu. Some testing is required so it will take a few days. I've updated my ISO (see http://linuxiumcomau.blogspot.com.au/2016/04/ubuntu-1604-iso-for-intel-atom-compute.html) and I tested installing Ubuntu and then removing the 'ubuntu-desktop' and 'unity' packages and install 'lubuntu-desktop' using 'apt-get' with sound and wifi/bt still working. I also tried with 'lxde' which worked as well. Please give it a try. Anybody got this script linuxium-32bit-patch.sh? I will be very grateful if someone would share it. As per previous comment that script has been superseded by my 'isorespin.sh' script so it is no longer available as it is not supported.